Morning light streams through an old oak tree as a vibrant field of bluebonnets and Indian paintbrush awaken to a new spring morning. 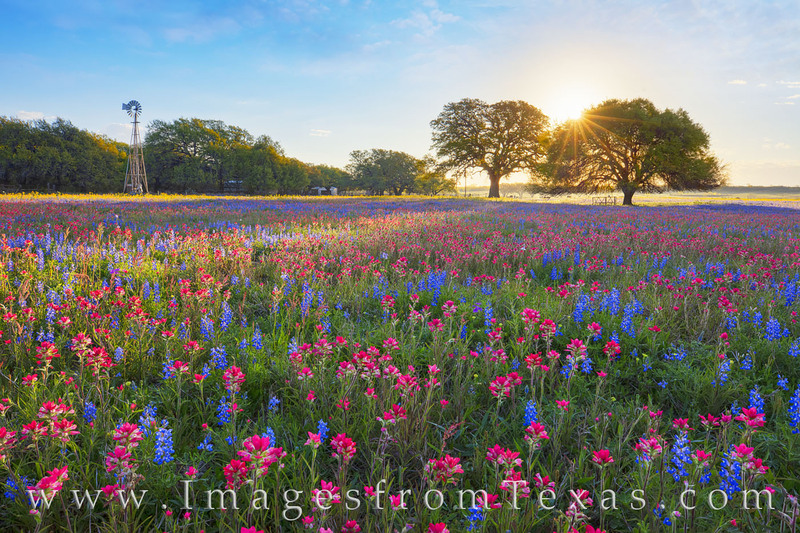 A windmill completes this beautfiul Texas wildflower landscape taken south of San Antonio near Poteet, Texas. In the distance, the calls of wild turkey and peacocks coudl be heard. It was a great morning to enjoy the wildflowers. Photo © copyright by Rob Greebon.